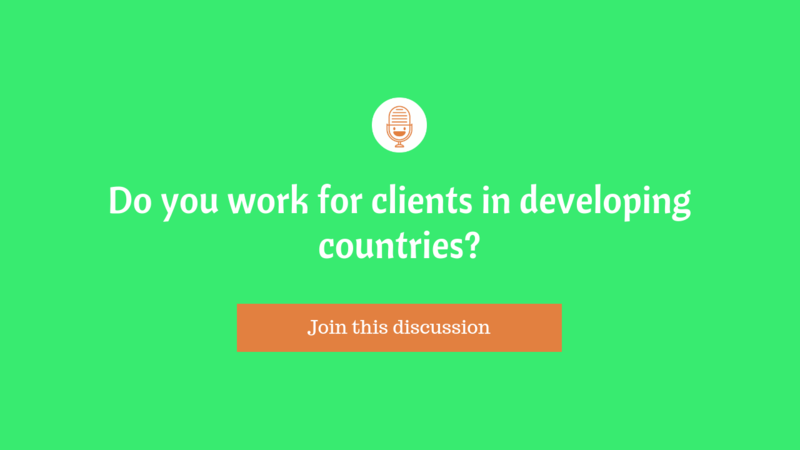 Do you work for clients in developing countries? Timothy Barton is looking for some input from translators who work for clients in developing countries and if you do I encourage you to join this conversation on Twitter. I've attached Timothy's tweet below, feel free to reply directly on Twitter and share your insights. mustafa Hey Mustafa, Timothy is not a client, he's a translator and looking for feedback from fellow translators like yourself. Feel free to join the conversation on Twitter by clicking the Tweet above. When we discuss this matter, we can not ignore the reality of most the translation companies in the developing countries are taking care of large volumes more than taking care of the quality, the same thing may be applied to the companies in India and China. As a freelance translator from Egypt, It seems that finding reliable translators who deliver a good quality is really tough. Unfortunately a lot of clients are not willing to pay the "premium dollar". At least not in my language pair.